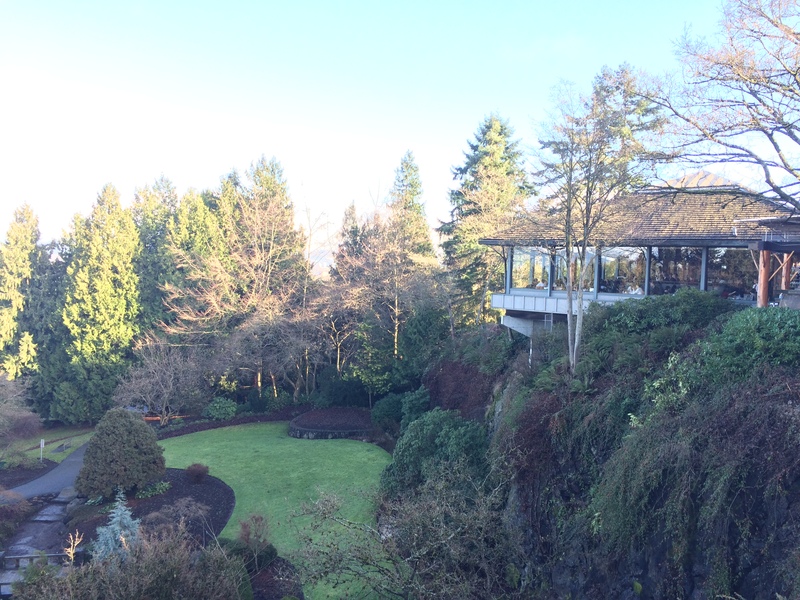 Queen Elizabeth park is one of Vancouver’s lesser known treasures, offering a wide range of activities for any age or mood. Walking trails throughout the gorgeous quarry gardens bring visitors across streams and a wooden footbridge above a small waterfall, creating a romantic atmosphere. 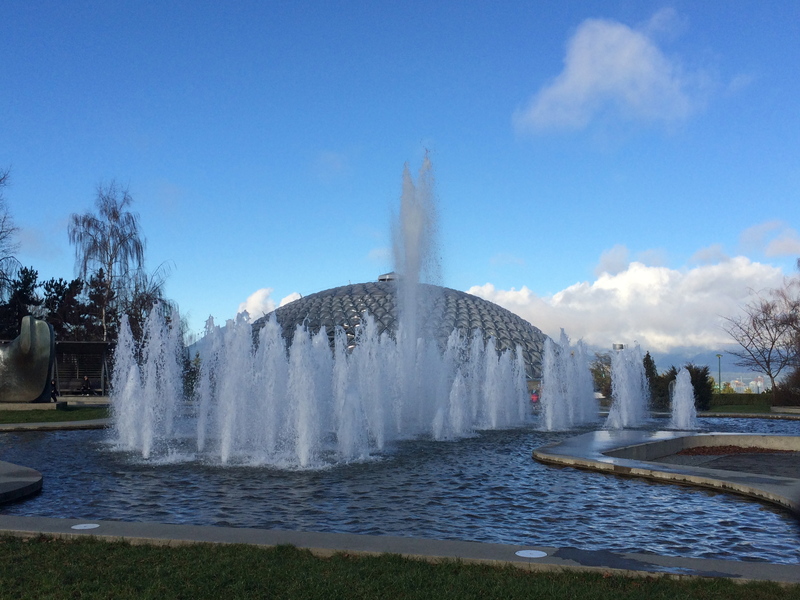 The “Dancing Waters” fountain at the top of the plaza leads to the dome-shaped Bloedel Conservatory. 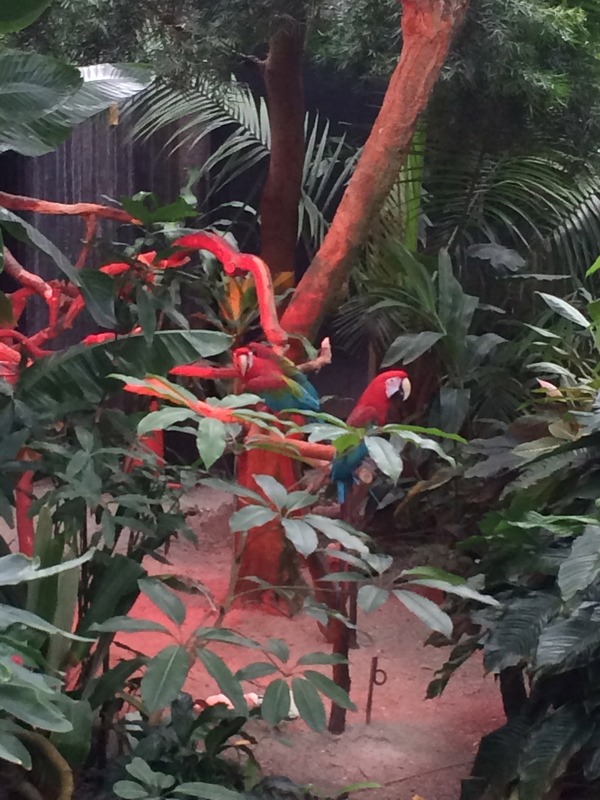 Inside the conservatory is lush, exotic plant-life and more than 200 free-flying birds from all over the world. 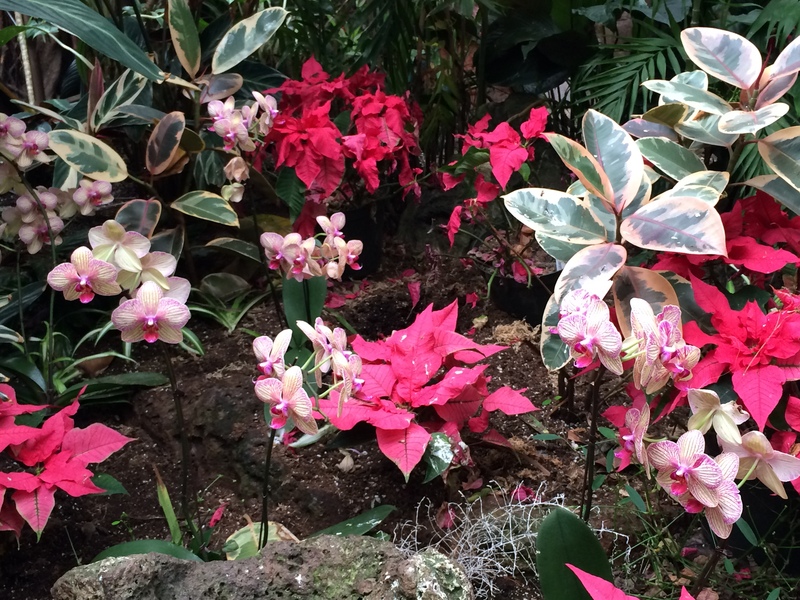 During the warmer months, the quarry gardens teem with a brilliant range of flowers, although the rose garden in the south-western perimeter is particularly popular. Joggers are found looping the 52-hectare park at any given time. There are also tennis courts, a pitch and putt golf course, a Frisbee golf course, a lawn bowling club, roller hockey rink, basketball court, and tai chi practiced at the top of the plaza. Those with four-legged friends often congregate at the off-leash area of the park, and the park is well equipped with receptacles for bagging waste. 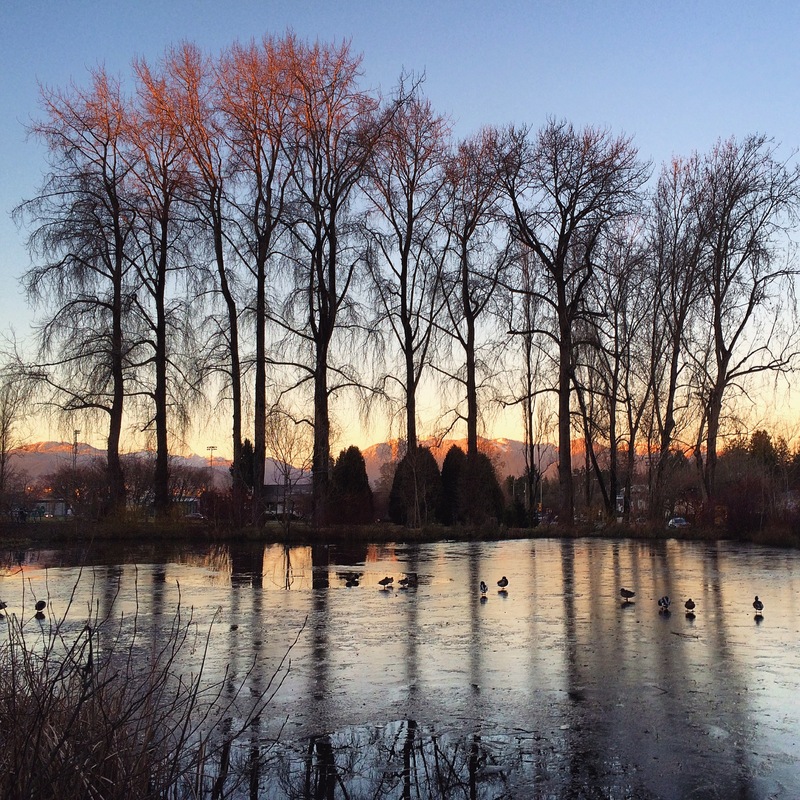 The lakes along the perimeter of the park also provide family fun for those who like to feed the ducks floating in the water. 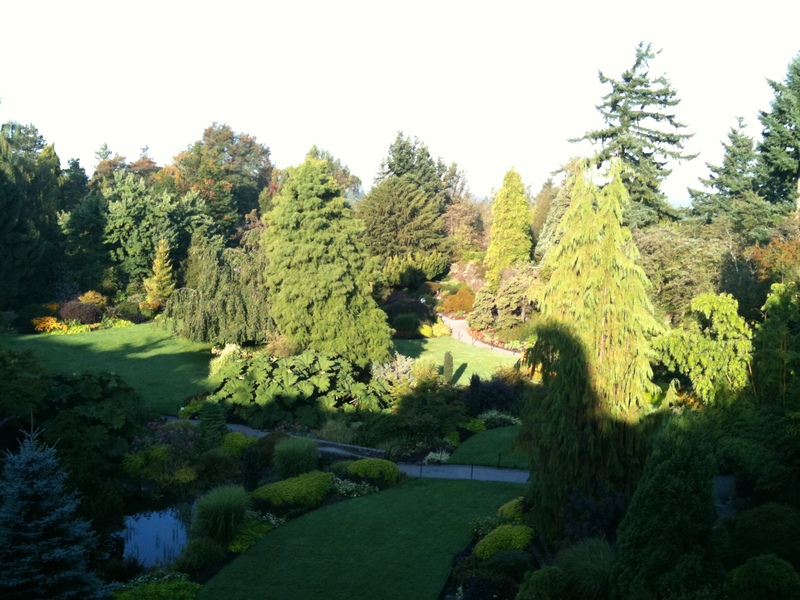 QE park has arguably the best view in the city at 152 m above sea level. 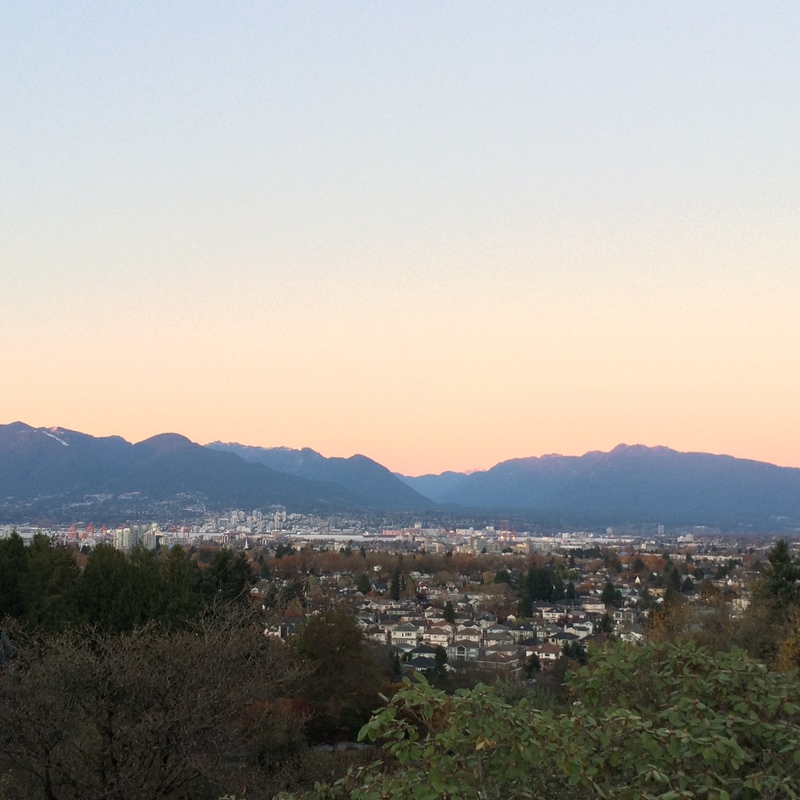 The spectacular view overlooking downtown to the mountains above North Shore can be enjoyed in the fine dining Seasons in the Park restaurant or for free on any of the many park benches. A number of sculptures can be found around lookout points, which visitors enjoy posing with for photographs. Wedding parties, often come take photographs in the whimsical gardens, but intimate ceremonies can also take place in the Chapel Celebration pavilion. 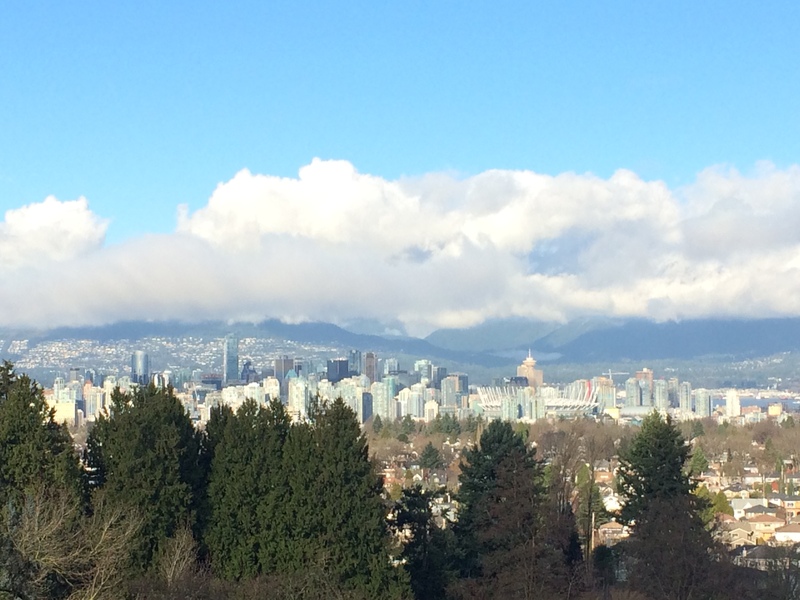 QE park is located along the Cambie Corridor by King Edward and Oakridge-41ststations on the Canada line. Entrances can be found at Ontario Street and West 33rdAvenue, or along West 37th Avenue between Columbia and Mackie streets. Those arriving by car can access the park either from Cambie Street at West 29th or 33rd Avenues, or from Main Street at East 33rd Avenue. There is free parking in the perimeter of the park and paid parking closer to the plaza.